The new f_small.tga file will work fine with both UFOAI TD1 and gimp. I will leave this page up, because the techniques are still useful for separating the alpha or matte channel. UFOAI uses targa format files (TGA) to store images which require an alpha channel. Unfortunately the GNU Image Manipulation Program (GIMP) does not handle tga alpha channels correctly. 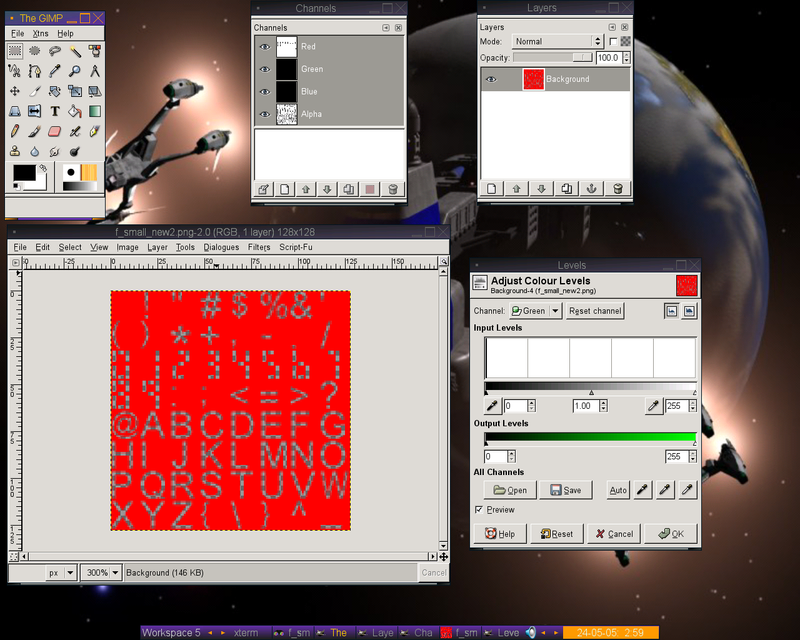 Therefore linux hackers who wish to work on the UFOAI menu system tga files (for instance, the fonts) must use a combination of GIMP (gimp.org) and imagemagick (imagemagick.org). Imagemagick is a free (GPL), cross platform software suite to create, edit, and compose bitmap images. It is compatible with a wide variety of image formats. 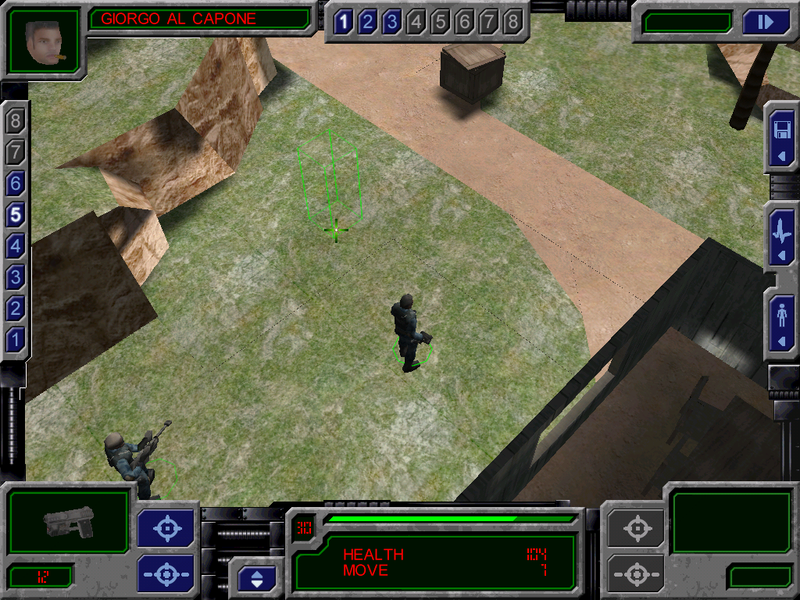 The imagemagick commands may be executed from the console. I will illustrate with the example of how to modify the f_small.tga font file. First, decompose the tga file into it's individual channels. We will save the channels as png files, because gimp handles png files well. I converted all the channels for this example. A greyscale image represents each channel. Black represents zero and pure white represents the highest intensity value of that channel (255 for most four channel, four byte file formats). Even though I converted all four channels, I don't actually need all four files. My new font image will only be black and white therefore I only need to edit one file. I will use the f_small_alpha.png file. And I can copy the f_smal_new.tga file to base/pics/f_small.tga. Play the game and the numbers should look different. Then save the image as f_small_new_red.png. On the command line, convert this png file to tga using imagemagick, and copy it to base/pics/.